I think this has to be my favorite shop the inspiration so far just because it's so warm, cozy and totally screams autumn to me. LOVE the cardboard deer head! loooving these rustic picks, especially the matches! xoxo jillian:: enter to win a custom canvas print! love the boots and that is such a pretty necklace! Love this shopping guide-I want to take it all! So rustic and with such charm. Adore those boots! Luuuurve the cardboard deer!! And that necklace is gorgeous too! great finds :) love these kind of posts! 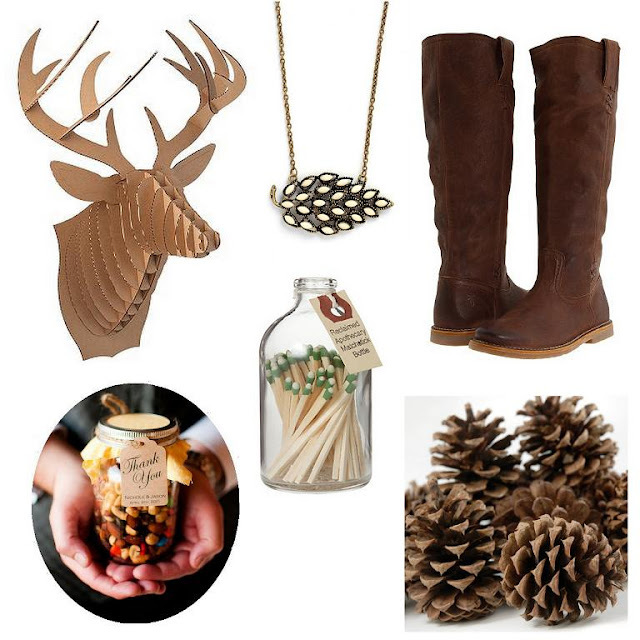 Must have those boots...and that necklace! Great little collection. Thanks for sharing! Oh my goodness, I want all of these awesome finds! They're perfect for fall! love this cozy inspiration, how perfect for fall!! love this post. apothecary matchstick bottle... perfect gift!